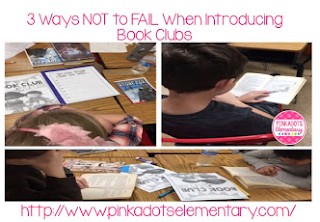 Participating in a book club CAN and SHOULD be an amazing experience for ALL kids. I have read all about it, watched videos, and consulted with colleagues, BUT they were never successful in my classroom. 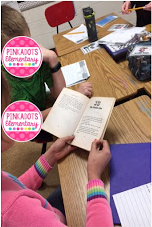 I struggled with how to get students involved in their book without ME. I couldn't figure out how to get students to dive into their "roles" and take ownership of their club. 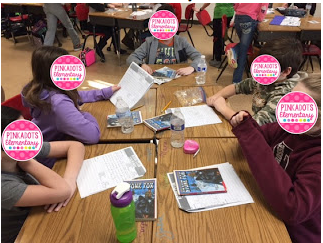 I am ELATED that after spending YEARS of failing, or we can call it "experimenting," I finally have book clubs that have turned into collaborative groups where ALL students are engaged, on task, and EAGER to share their thinking!!! Here are three tips I've learned along the way that helped me NOT FAIL when introducing book clubs. What does the word “collaborate”mean? What makes a discussion collaborative? What does it mean to “build on others’ ideas”? What words or phrases can you use to link your ideas to your classmates’ ideas in collaborative discussion? What are some positive way to contribute to a meaningful discussion? Once each group completed the questions, they spent time sharing their ideas. We discussed each question in depth and came to the realization... Building on others' ideas helps create collaborative groups. We watched a video of a collaborative group (I found one online) and we discussed and charted how each member was contributing to the collaborative group. This was important for students to see what it actually looked like too. # 2 ROLES! ROLES! ROLES! Students LOVE to have a role. 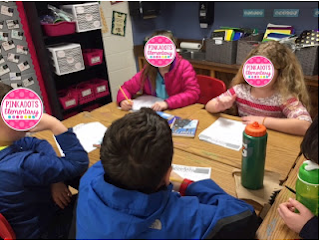 I created a bunch of different book club roles and then let each student pick their own role. Some of the roles were: Word Whiz, (this person kept track of words that they or others may find confusing) Summarizer, (this person summarizes the most important part of the chapter) Character Reporter, (this person reports on the character, anything knew they noticed, character traits, character change, etc.) and many more. I simply checked out Pinterest and created a bunch that would fit my classroom. I also picked ONE student from each group to be the teacher. I picked someone who I knew would be serious and help the group to remain I task. I also let my class know that the teacher can change, but you have to earn it. This was HUGE! Each student begged to be the teacher and therefore I noticed how many of my students who are usually off task, started to become engaged and participating in their group! WOOHOOO!! point to model as much as possible. I would share my thinking and how I was able to keep the conversation going by building on others' ideas (when I would pop in and out of different groups)! I was not only the model, but I let other groups model as well. I also videotaped each group, I simply grabbed my I-phone and while they were submerged in their groups, I videotaped their collaborative conversations. This was eye-opening to my students. When they were able to see themselves and critique one another, they were able to see how productive or unproductive their group was! This was a game changer!! After viewing themselves against other groups, they really uped their game and implemented things they noticed other groups were doing successfully! I felt like a ROCK STAR seeing how each student strived to be an active participant in their collaborative group! Getting Book Clubs started is the hardest part. I went very VERY slow because I wanted to make sure they had the fundamentals. If I didn't ease into the clubs slowly, it would have been a disaster because students wouldn't truly understand the collaboration aspect and their expectations. I used to rush into clubs and then become frustrated because they weren't working collaboratively and were off task. I realized that SLOW and steady wins the RACE! Going slow made the world of difference! I'm honestly in awe when I sit back and simply listen to the discussions going on during club time. Manageable Flexible Seating Options That Work! 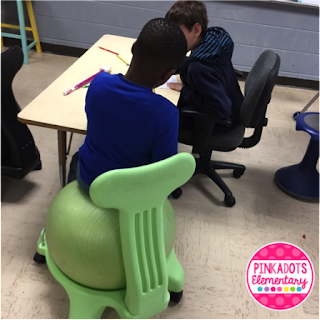 I am very blessed because my classroom has awesome seating options. No, they weren't cheap, but some I made and purchased myself and others I wrote and received grants for this year. I have three rotating classes of 24 students each, so these seats get used by 72 students a day. Plus, my teacher friends and I love them during meetings in my classroom. 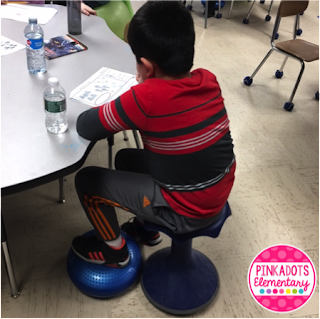 My classroom is not the only room that has moved to flexible seating, in fact two awesome teachers at my school just received a grant to give each classroom a few more hokki stools, so now all classrooms will have options. I am always being asking about what is in my classroom, so I thought I'd list the items below. I can't tell you what my students like the best because each student finds what works best for them. 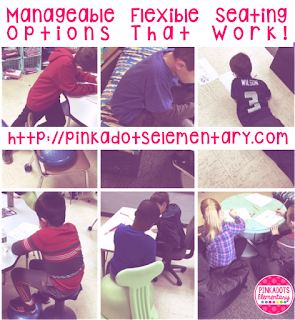 During the week, options rotate so it is fair for everyone, but I am finding more and more students know what they need (as far as seating) to produce their best work. I find flexible seating options are actually manageable as long as you set your expectations and norms in the classroom. 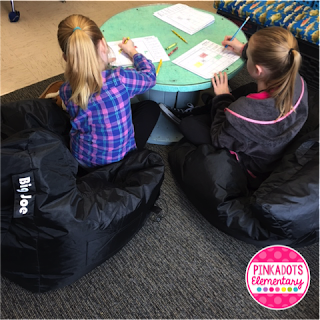 I've seen a huge decrease in stress, negative behavior, and anxiety due to flexible seating options as well. 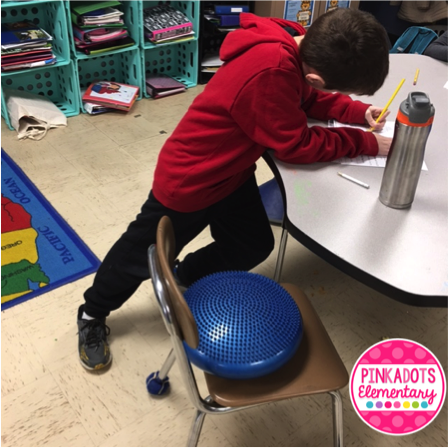 I hope this post has inspired you to try out some flexible seating options. 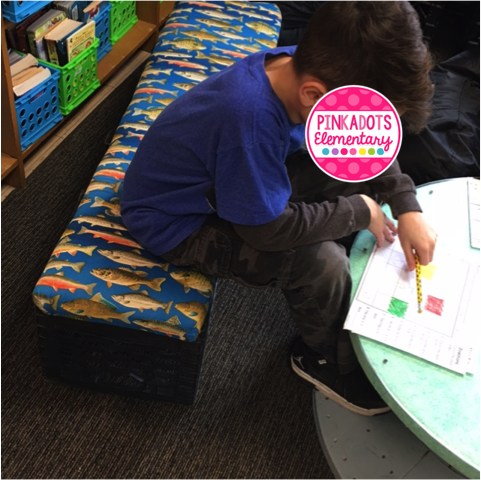 If you are already trying out flexible seating in your classroom, I'd love to hear about it. What works for you? What is your favorite? Personally, I sit on a Gaiam Balance Ball Chair when I am at my desk and LOVE it. Let me know what you use in the comments below! 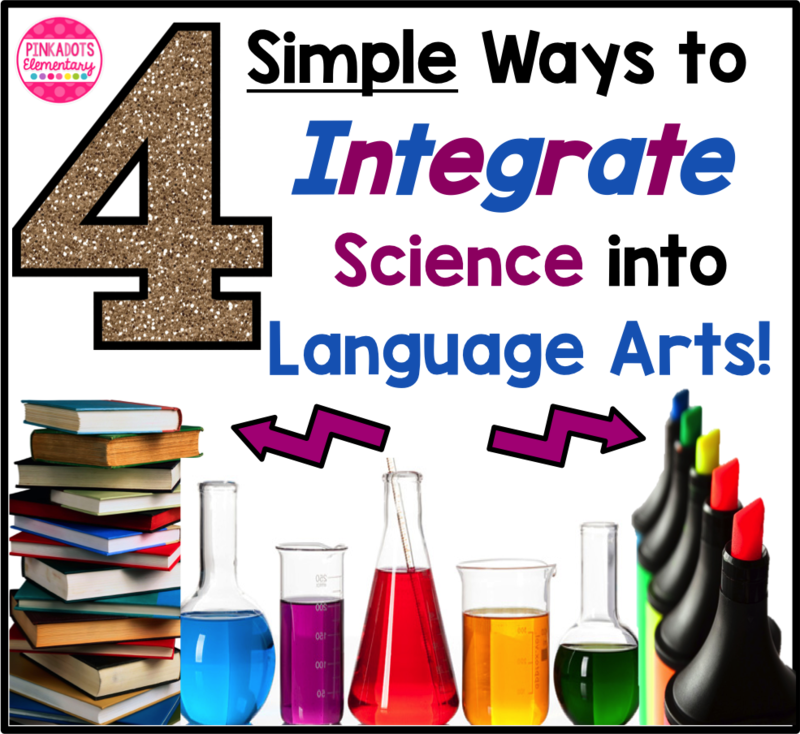 4 Simple Ways to Integrate Science into Language Arts! We all know teaching has a lot to do with time management and honestly that can be one of the hardest things teachers face. "How am I supposed to teach everything in this little amount of time?" When you factor in band lessons, trips to the bathrooms, nurse visits, absences, weather delays/cancellations, vacations, professional development days, meetings teachers are pulled out of the classroom for, speech therapy, counseling, resource/intervention time, and the list could definitely go on....how much time do you really have for teaching? #1. 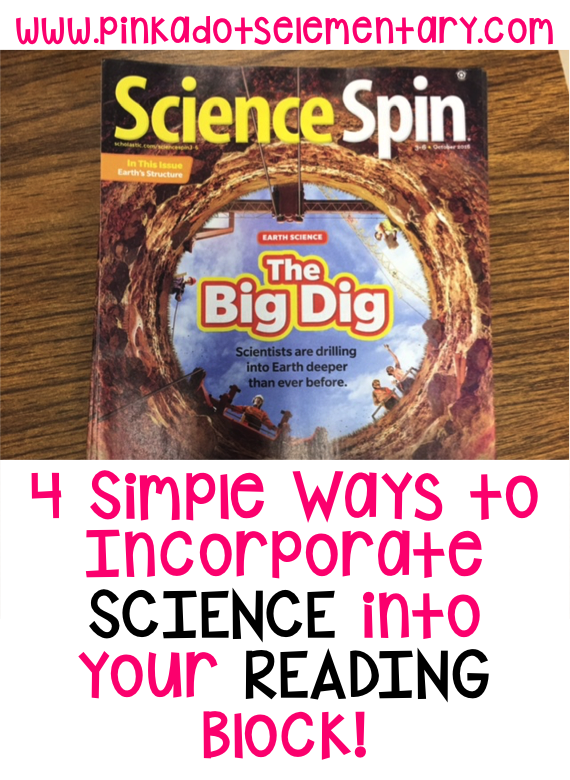 My first suggestion is to get the Scholastic magazine, Science Spin. It is SO worth it. 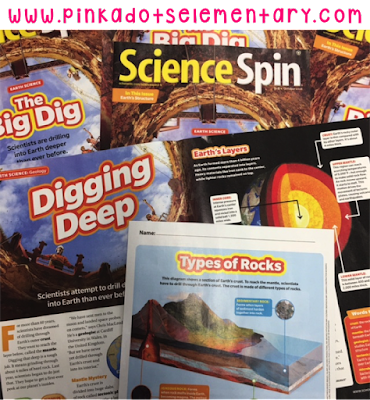 It is connected to grade level NGSS standards, is full of nonfiction reading passages, graphs, charts, color pictures, and is really popular with all of my students. They cheer when new magazines come in the mail and honestly so do I. I love the included Teacher's Guide that has everything you need to teach content and reading all in one. It even comes with close reading questions! This will cost you $0.99 /per student for 8 issues throughout the year, but honestly parents could send their child in with a dollar for this monthly magazine! It is SO worth it! #2. Book Clubs! Do you use book clubs in your classroom? 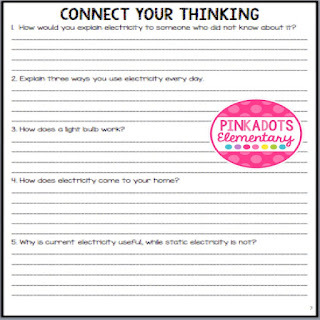 They are great for promoting student questioning, group discussion, responsibility, and accountability. 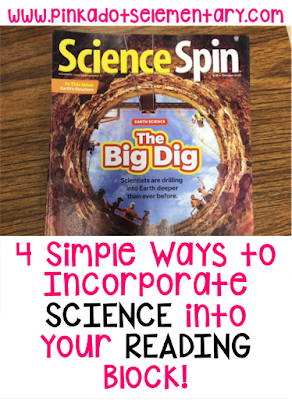 How about throwing in some nonfiction science books once in a while? Obviously the questions students come up with might be a little different other than the normal character development and plot predicting, but nonfiction books do allow for higher level thinking and really ALL students LOVE nonfiction! 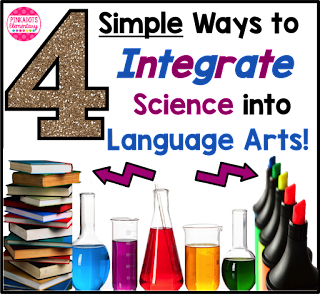 One of the best ways to face this challenge is through subject integration. I am not talking about just teaching science by reading articles, but you CAN pre-teach a topic by reading articles in class, which will give you more hands on time when it comes to the actually allotted science block. The books below are for five different leveled groups going on in my classroom. Don't think you have time for this? Make it morning work for book clubs to meet, end the day with book clubs, or replace independent reading time with group reading time a few times a week. #3. 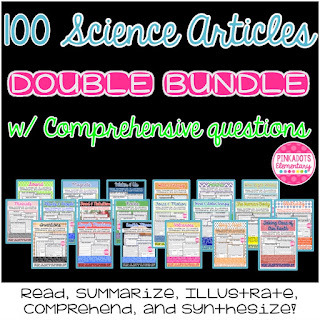 Our science packets offer an AMAZING opportunity for students to learn science through reading, answering comprehension questions, and using text evidence to support paired text responses. 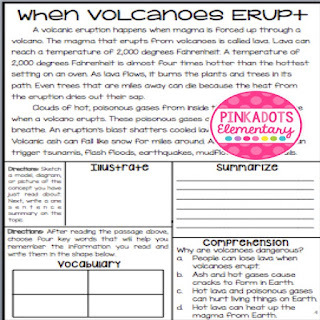 We have science packets for over twenty different topics covered in 4th and 5th grade science. 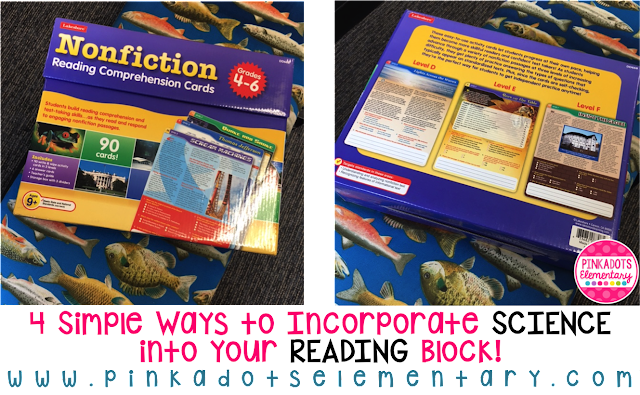 Each unit provides five opportunities for a student to read about the topic while organizing their thoughts in illustrations, vocabulary boxes, and summary writing. I've used these for homework, intervention, pre-teaching, sub-plans, extensions, and even guided reading opportunities. Students love the short/readable passages and teachers love that their class has the opportunity to independently understand difficult topics. When making these, I broke down hard topics into five sections so my students find success in reading and comprehension. 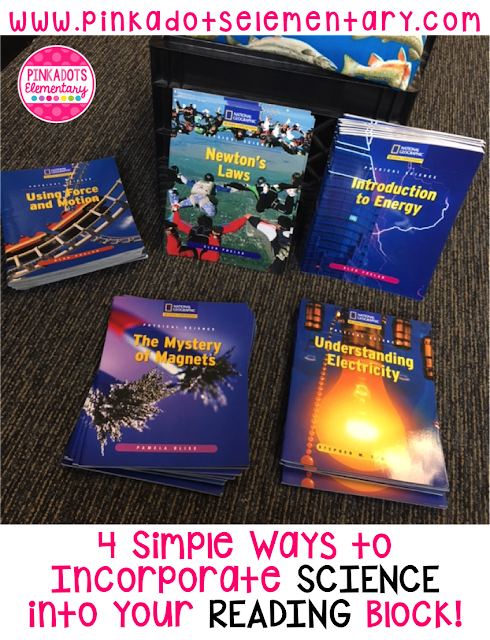 The best part is the students actually enjoy the new learning and when I send it home for homework, the parents enjoy hearing the interesting passages. #4. Have a few minutes? This Nonfiction kit is awesome for grades 4-6. I purchased it through Lakeshore Learning and I've got a ton of use out of them. I've scanned them onto the smartboard for whole a class lesson. I've used them for more information on a topic. I've given these to my students to complete in partnerships and (my favorite idea) I've blown then up on giant paper and hung it up in the room for students to read when they finish work. After leaving it up for a week or so everyone was able to read it at some point and then we worked on the comprehension questions. They definitely inspired the students to investigate the topics more. They are pricey, but if you have curriculum money or want to write a www.DonorsChoose.org grant, this would be a great purchase!